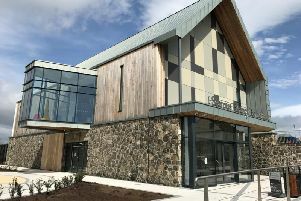 During the course of a day a woman sent a number of abusive messages to another woman via Facebook, Banbridge Magistrates Court heard last Thursday. Gemma King (31), Maglion Terrace, Banbridge, admitted that on June 28 this year she sent, by means of a public electronics communication network, a message which was grossly offensive or indecent or of a menacing character. A charge of harassment was withdrawn. The court heard that the injured party said she had received Facebook messages from King which she thought were abusive and threatening. The messages which were sent during the course of a day continued in an abusive tone. A solicitor for King said there had been an ongoing dispute between her and the other woman and her ex-partner. She claimed that the defendant had suffered mentally and emotionally at the hands of her ex-partner. The solicitor said there were ongoing conversations between her client, the injured party and the ex-partner and things were said which proved to be untrue. Because of the emotional abuse from the ex-partner, added the solicitor, things came to a head and she reacted in this way. She accepted she should not have sent the messages. She asked the court for sympathy for the defendant in terms of the situation. She had no record for a similar offence. Deputy District Judge Laura Ievers said when the facts were opened she considered this to be a serious matter. But, she added, on balance the defendant had pleaded guilty and had learned her lesson. The judge said she would not go down the route of a restraining order but would deal with the case in an exceptional way. She imposed a conditional discharge for 12 months.